Back in November, I went to Banff National Park in Canada to attend the Banff Mountain Film Festival and run logistics for our National Geographic team. It was an absolutely beautiful place with abundant wildlife and 360 degrees of gorgeous views. You should absolutely go if you ever have the opportunity! Let’s Explore! 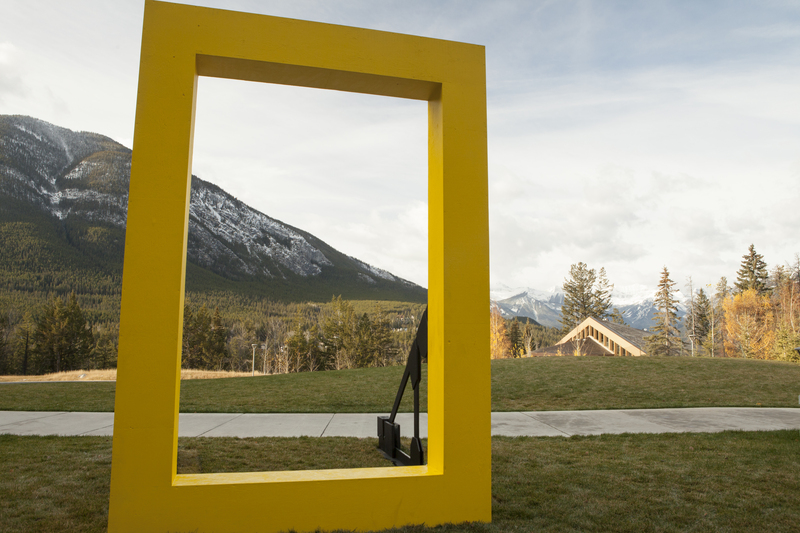 The National Geographic Logo at the Banff Mountain Center in Banff National Park, Canada. November 2014. I also got the opportunity to participate in and help a little with a National Geographic Your Shot Meetup there, led by Jimmy Chin – a fantastic photographer who is also one of our grantees. We held a photo walk to lead up to the Behind the Adventure Your Shot assignment. I shared some of the images I took during the walk on my Your Shot profile, so go check them out there. While you’re there check out the assignment Behind the Adventure. The assignment video features some of my photos (!) and offers some tips about shooting the assignment. You still have time to submit to a really fun story assignment. The assignment closes on January 12th, so go start digging through photos of your greatest adventures and start the year out on a high note!